The apricot kernel (Prunus armeniaca) is the soft part inside the seed of the apricot. It is said to be a good source of iron, potassium and phosphorus, and one of the best sources of vitamin B17 (also known as amygdalin and found in the seeds of fruits such as peaches, plums and apples). 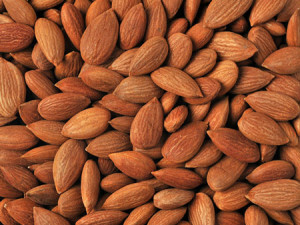 Also called “apricot almonds” or “bitter almonds”, apricot kernels originated in Armenia and are also native to Northern China, the Himalayan region and parts of Asia. You can buy the seeds whole or pre-dried and processed, and they’re often used as an ingredient in some apricot jams, Italian amaretto cookies, liqueur and for adding a marzipan flavour to recipes. Apricot kernel oil is a mild natural oil used in baby products, skin products and massage oil. There are two types of apricot kernels: bitter and sweet. Sweet kernels have a less overpowering taste, are better for snacking and have less amygdalin, but it’s the bitter kernel that is renowned for its therapeutic values. Bitter apricot kernels have been used as a cancer remedy in Russia since 1845, and in the US since the 1920s. However, debate continues over its effectiveness and toxicity.They have also long been used in Chinese medicine for respiratory problems, indigestion, high blood pressure and arthritis. Apricot kernels can be eaten raw or ground into a powder and sprinkled into curries, soups, vegetables, fruit juice or cereal. They can also be ground and roasted, and the oil used for cooking, salad dressings, fuel and as a facial lotion. Some nutritionists recommend no more than one to five kernels a day, others suggest as many as 35 to reap the anti-cancer benefits. Nutrition Australia offers no consumption guidelines and suggests seeking advice from an accredited practising dietitian before consuming them. Soaking the bitter kernels in water is said to reduce the bitterness and levels of amygdalin.